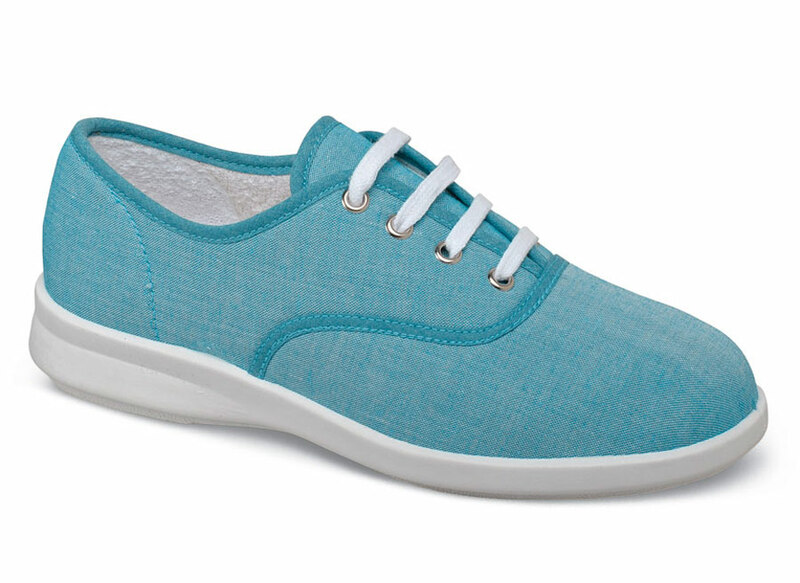 Bright and cheery, the turquoise version of easyB’s lightweight “Tara” casual tie has soft canvas uppers with absorbent terrycloth linings and a removable terry insole for fit adjustment. The reinforced heel counter helps to keep its shape and provides increased support. 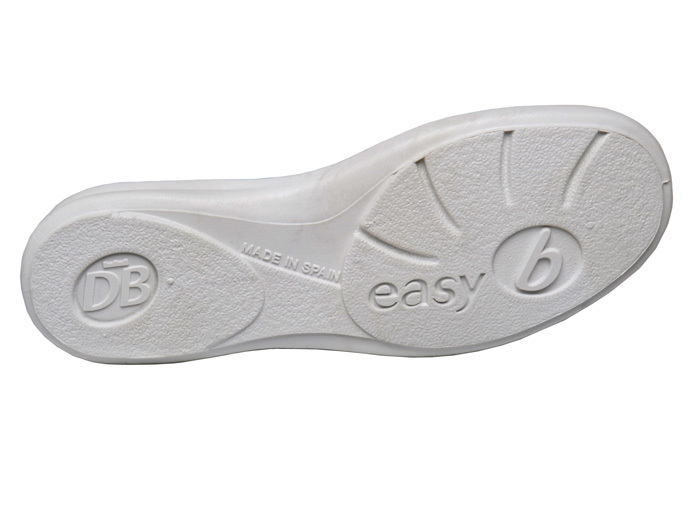 Flexible polyurethane outsole. Originally $99.95. Made in Europe in U.K. sizes to fit U.S. women's whole sizes in variable 2V width (fits 2E to 4E and 6V width (fits 6E and wider). Limited stock in U.S. sizes shown.